Pride And Prejudice, the story of Mrs. Bennet's attempts to marry off her five daughters is one of the best-loved and most enduring classics in English literature. Excitement fizzes through the Bennet household at Longbourn in Hertfordshire when young, eligible Mr. Charles Bingley rents the fine house nearby. He may have sisters, but he also has male friends, and one of these-the haughty, and even wealthier, Mr. Fitzwilliam Darcy-irks the vivacious Elizabeth Bennet, the second of the Bennet girls. She annoys him. Which is how we know they must one day marry. The romantic clash between the opinionated Elizabeth and Darcy is a splendid rendition of civilized sparring. As the characters dance a delicate quadrille of flirtation and intrigue, Jane Austen's radiantly caustic wit and keen observation sparkle. Jane Austen was born on December 16, 1775, in Steventon, Hampshire, England. While not widely known in her own time, Austen's comic novels of love among the landed gentry gained popularity after 1869, and her reputation skyrocketed in the 20th century. 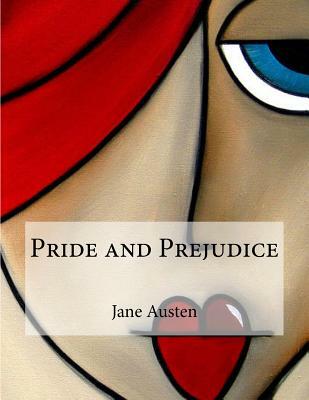 Her novels, including Pride and Prejudice and Sense and Sensibility, are considered literary classics, bridging the gap between romance and realism.